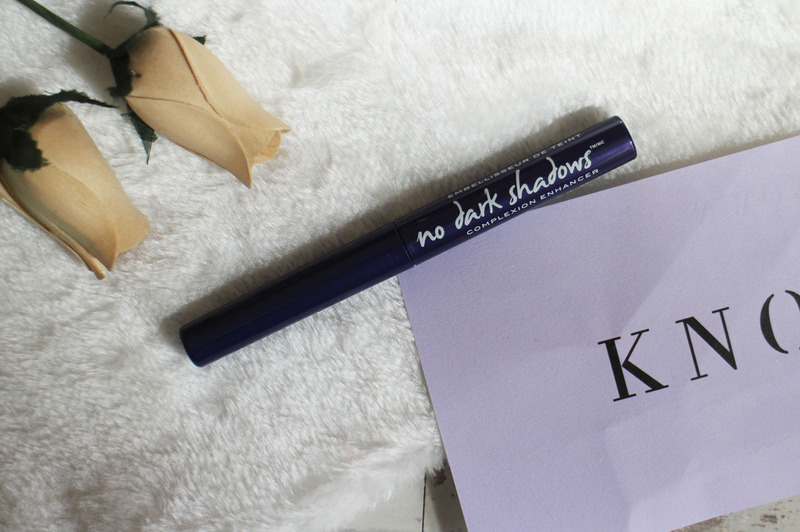 Know Cosmetics has very recently launched in Superdrug - I'd never tried anything from there brand before but i was very intrigued by their No Dark Shadows Complexion Enhancer*. 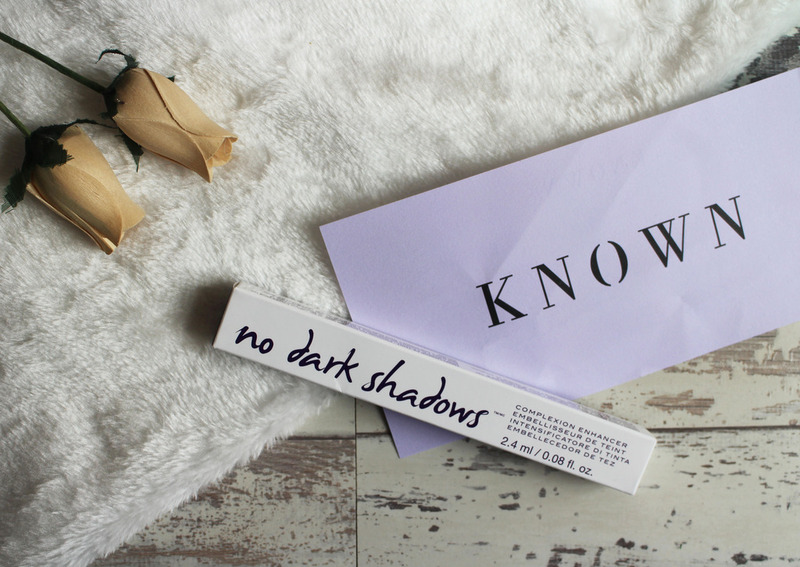 I actually received a PR email about Know Cosmetics and i love the sound of most their products but the No Dark Shadows Complexion Enhancer really intrigued me so i was cheeky and emailed to see if i could possibly try it out and review it on my blog. 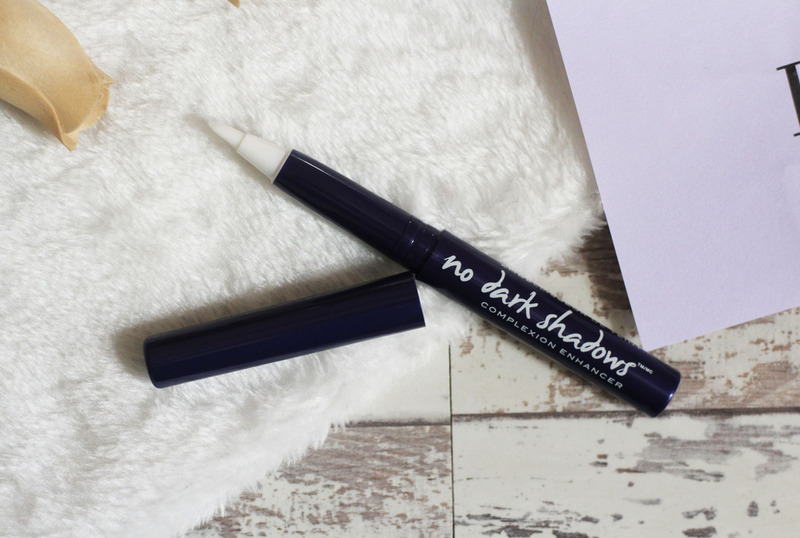 The No Dark Shadows Complexion Enhancer is oil free, water proof, long lasting and both free of mineral oil and cruelty free and it's designed to wake up the eyes, highlight and enhance the complexion and so far, I'm pretty impressed. It comes in two universal shades; Pizzaz (for yellow tones) and Rosy (for pink tones) - i got the shade Pizzaz, it is very yellow toned and i find it works quite similar to a colour corrector. It comes with instructions that show how to conceal, highlighter and enhance different parts of the face - now, I've misplaced my instructions because I'm an idiot but i have actually tried the different ways out and they weirdly work. I mostly use this for under my eyes; it has a twist up, brush applicator (i don't use the brush to blend it in, just to apply) - the packaging actually reminds me a lot of Urban Decay but i think that's mostly because it's purple. It's a creamy formula, blendable and has medium coverage - it does look slightly dark under my eyes due to it's yellow tones but i don't know if that's just because I'm quite pale but I've been applying this with my Revlon Colour Stay Concealer and blend them together. They blend beautiful and cover my under eyes really well - it's not cakey and i find it lasts a really good amount of time. This does retail for £15.00 so it is a little on the pricey side and at first, i probably would have hesitated at paying so much but now that i feel like I've found a way to use it and it's working really well for me so i would definitely consider it. If you're interested it's available on Superdrug's website or on Knowcosmetics.com. Have you tried any products from Know Cosmetics?